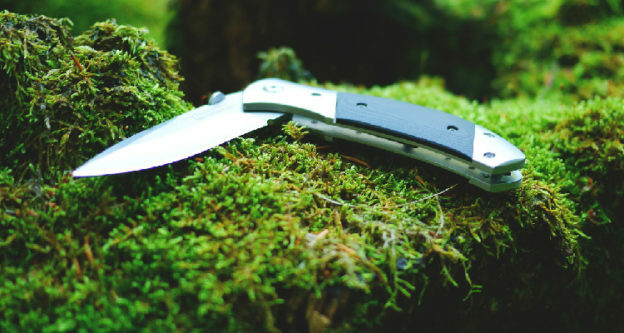 A pocket knife is almost an extension of a person. It used to be, and may still ring true, that anyone with a job in – or interest in – DIY or home improvement would carry around this piece of kit all day, everyday. Handymen and women across the world will have grown up knowing that the first tool you own is a pocket knife. We think that SOG Specialty Knives & Tools X-Ray Vision Folding Knife XV71 is the best pocket knife out there. The most common pocket knife of all is the Swiss Army Knife. Although this is the brand, the multitool knife has been a common ally of scouting and camping groups for decades, offering not only the knife but so many other little advantages when you find yourself at one with nature. That type of pocket knife is only one style, of which the others you will find further on in the page. Which brings me to my next point; what you’ll find here? Well, we’ll have a huge range of hints and tip on what is the best pocket knife to buy, where to get them and what’s handy to have once you’ve decided upon a style. We hope to give you the best lowdown on the best pocket knives so that you can make an honest and good decision. So make sure you check out below for our pocket knife reviews. Let’s begin with the comparison table. These knives are always popular and you’ll see some people claim that this type of knife is the best. Usually coming jam-packet with over a dozen handy tools (like scissors, bottle opener, tweezers and screwdrivers to name but a few) you’ve got a whole workshop in the bottom of your pocket. The most famous model here is the Swiss Army Knife, with the distinguishable red base handle and vast array of uses in everyday life. Nowadays they come in a variety of designs and are used by different types of people, not just DIY experts and workmen. For some purposes, however, it could be better to use a different kind of knives, such as the ceramic one in the kitchen, for example. Having said that, the huge amount of different abilities within a multitool knife makes them a popular tool. A jackknife is a small, foldable knife that is easily placed in a pocket or rucksack because of its size. A jackknife often has more than one blade, making it popular with hunters and craftsmen who often want to take their tools with them but don’t have the space and storage to do so. Jackknives will sometimes not have locks or springs within them, meaning you have to manually open them which makes them safer to carry and use. First discovered having been used in the Roman era, these were first used by carpenters and travelers as a basic tool. A folding pocket knife is the most original knife, even predating the standard jackknife from the Roman age. These knives, based around the blade folding away into a pocket inside the handle, are really safe and still a very popular knife in the hunting and services trade. Because of the nature and style of the knife, they can be easily stored and safely kept on your person without the worry of the blade needing to be stored on a storage belt or within a sheath. These knives often have a lock mechanism that holds the blade into place once you have finished using it. In addition to the lock, there will be a leaver or latch that will release the blade as and when you need, leaving it ready to use. The retractable pocket knives are really popular. The way these knives work is through a moveable button attached to the handle of the knife which is also attached to the blade. As you move the button upwards, the blade rises through the handle of the knife, giving you the ability to increase the size of the blade available and also hide away the it away once used. The blade is usually small in size and very sharp, but also removable (remember to check our sharpener list if you want to make your blade more sharper). Because of the thin nature of the blade, it can often snap of chip, so being able to remove this and add another in is a helpful addition. Also going by the name of ‘utility knives’, this style of knife is popular in a workshop and home or at work to cut finer, more precise angles easier. Gerber are a trusted and impressive brand in the pocket knife market, with years of experience in the field of engineering producing high quality pocket knives. Founded in 1937 and based in Portland, Oregon in the US, this brand offers many of the types of knives that you will find on our website today, some of which really are the best pocket knives in the world. The wide range of knife styles on offer by them is really impressive, and it’s not just pocket knives that you can find here – even though this is what we’ll be focusing on. Endorsed by Bear Grylls and offering a custom range used by him on his adventures, they’re marketing themselves as the company for the outdoor lovers, but don’t let this fool you. They also have plenty of multi-tool appliances available too. They’re the brand that you will want to check out for sure. Victorinox are the original name behind the Swiss Army Knife. You may or may not be surprised, but Victorinox hail from Ibach, in Switzerland, and has been a business for a whopping 132 years, since its formation in 1884. 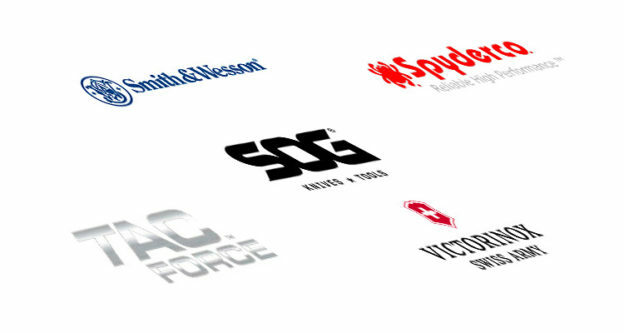 Such is the quality and reliability of the brand’s products, it is the sole provider of knives to the Swiss army and is also the largest manufacturer of pocket knives in the world. The popularity of the brand is ever expanding, as they also offer a range of watches and Swiss Cards, a credit card sized item that has a number of smaller appliances coming through from the sides. Popular with campers and the scouting set-up for its multifunctional ability, you’ll find this much loved item in all sorts of scenarios and is more of accessible than a lot of other small pocket knives available. Some people consider this brand to offer the best pocket knife in the world. Kershaw Knives are another great manufacturer and designer of good pocket knives to come out of Oregon – it must be something to do with the national parks up there! Kershaw made their name when a former Gerber member of staff left the company and started up their own brand, and they have become a big player in the pocket knife world. 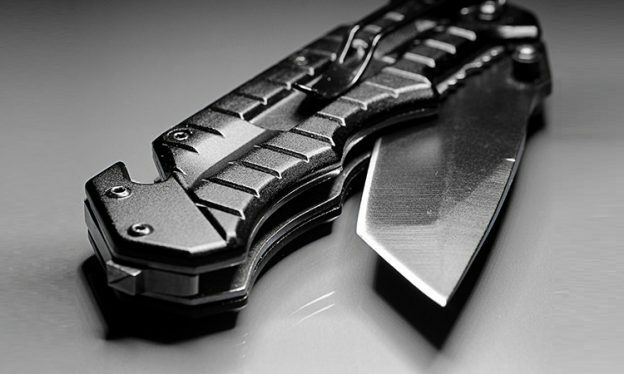 See below for the top rated pocket knives from around the internet. The SOG knives are proper pocket knives for proper people, with a partially serrated end near the base of the blade on either side and a full flip mechanism making this one tough product before we have even got to the size. The blade itself is 3.75 inches whilst the knife comes in a 8.37 inches in total, and viewing this purely from aesthetics, there’s no messing around with this knife. Coming with a lifetime warranty against any manufacturing faults, you’re covered in case any unknown mishaps occur during use that aren’t your fault. The blade is made from Japanese steel, which is known for its high quality. 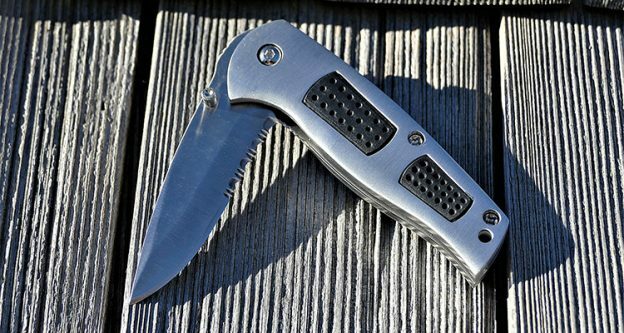 Another great feature about this knife is its small clip on the reverse of the handle, so that you can slip and attach it to your pocket for a secretive, discreet carry. After all, this is a knife used in the military field for combat purpose too. The Spyderco Delica 4 is a solid and dependable pocket knife with a large handle at the base and a smaller blade that flicks out and folds away easily and looks sleek and tidy. A nice bonus is that there’s a small clip on the outside of the knife that can be used as either a place to keep money or a clip to store the knife on your person. This knife has been around for a little while in one format or another, but the reports from past users state that they would never choose another knife other than this one, high praise indeed for a product that is in a hugely saturated market. The Delica 4 comes in silver and looks really good. It’s designed nicely, and the closed length of the knife is 108mm, with open being at 181mm. The guys at Zero Tolerance have really created a mean looking pocket knife, black in color and made out of S35VN graded steel. Coming fresh with an internal locking pin to keep the blade safely in storage when it has folded away, you will have peace of mind if you’re storing this in your pocket. Smaller than some of the previous models in the same family, the solid materials this knife is built out still stands up strong against other Zero Tolerance knives, pocket or otherwise. This knife is great for any user and no matter which is your strongest hand, right or left, you will find no problem using the 0450CF in any situation. W.R. Case are an American producer of pocket and handcrafting knife from New York City, known for its years of high quality manufacturing of knives since 1889. The 9720 is a small and light pocket knife, weighing approx. 4oz and sized at just over 4 inches, this is easily one of the tidiest knives available today. Its traditional design is a classic, and it has a lovely green bone finish to the handle making it look, feel and hold like an authentic old-time pocket knife. As the brand that provided the US Army with their knives during WW2, the sign of quality has clearly stood the best of time with this highly rated, fantastic pocket knife. Possibly the most classic, recognizable knife in the market is the Swiss Army Knife. This, a slight change up on that design but made by Victorinox all the same is a larger all-in-one tool that comes across as a plier set but has within it all of the trademark pieces of kit that you expect in a Swiss knife. With 38 functions within the tool, this is by far and wide the best valued pocket knife on sale. Because of its slightly heavier weight, this product comes with an added leather belt pouch for ease of storage. There are a few things you need to consider before you make your decision upon which knife you want to purchase. Do you have to use it to hand to hand combat, deer hunting (maybe specifically developed for skinning), cooking recipes? Taking a look at the options above have probably given you a good idea of what you’re looking for when it comes to a new tool and which is the best pocket knife for you. Do you want the flexibility that’s given to you by a Swiss? There’s lots of options but it’s a less functional knife than the Spyderco, for example. As you can imagine also, what size physical knife do you want, be it blade or in total, is a big point. Do you want something that’s got a larger handle? The different types of knives are also for different things – the retractable knife won’t be very tough as it is for precision more than strength. 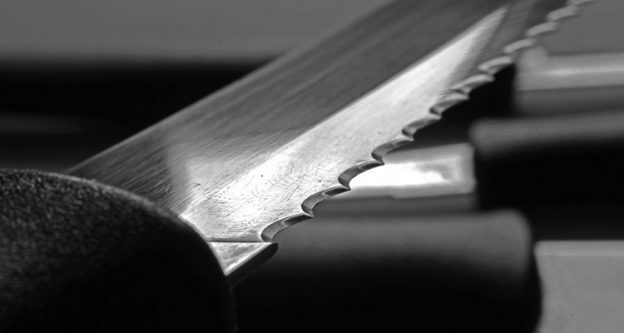 The thickness of the metal in the blade will also give you a good tip as to how it would do under harsher conditions. All of these things are worth keeping in mind when making your final decision. You’ve had the chance to view all of the best pocket knives on the market. It’s a tough decision because each knife have its own merits and a lot of the final choice will come down to personal preference and visual look, but we’ve offered you some quality pocket knives. There’s price to consider too, but overall you usually get what you pay for. Take your time to look through the guide some more before making a decision but we have given you a great batch of information for you to base your final decision on. Happy buying!